The furor over the expulsion in 1995 of Quebec high school students who refused to remove their head scarves, with some people declaring the Hijab might not be considered proper “Canadian” dress, demonstrates that the West has not yet transcended the negative stereotype of the oppressed, veiled Muslim woman which has generated during the period of Western colonization of the Middle East. Indeed Muslim women in the West are still discriminated against based upon these myths. The aim of this paper is to bring the perspective of some Muslim women who cover willingly into the debate over Hijab. Muslim women in Hijab are regularly told by Canadians “This is Canada. You’re free here. You don’t have to wear that thing on you head.” Nur, a university student, discovered one day that this view of Hijab can lead people to be quite hostile. At university one day, a woman angrily approached her, asking why Nur was dressed like that, bringing herself so much attention, and bringing “backwardness” to Canada, when feminists had worked so hard for the cause of women for the last twenty years. Why Do Muslim Women Wear Hijab and Not Men? Westerners are often puzzled to see Muslim women covering their bodies more than Muslim men do, and see that as a proof of the woman’s inferior status. Islam lays out a dress code for both male and female believers, but the requirements for covering are different: a man is to cover from navel to knee, and wear opaque, loose clothing (tight jeans are out of the question); women cover more, everything but face and hands. All of the women I interviewed believe that these differences are due to inherent differences between men and women. They say that men are more easily turned on sexually than are women. The point to covering is not that sexual attraction is bad, only that it should be expressed between a husband and wife inside the privacy of the home. A public space free of sexual tensions is seen as a more harmonious and peaceful place for human beings, men and women, to interact, do business, and build a healthy civilization. Many feminists argue that to believe in male-female differences is to accede to women’s oppression, because it is these differences which have been used to stop women from realizing their potentials. The Muslim women in the survey do not agree that believing in male-female differences is to believe women and men are unequal. They all believed that men and women are different, and that women and men are equal in Islam. For these women, the principal definition of equality is how human beings are in relation to God. The Quran unequivocally states that men and women are equal in the eyes of God. Men and women were created from a single soul, and are both the trustees of God on earth (Quran 2:30), individually responsible and accountable for their actions. However, these women do not believe that male-female differences include traditional western notions of men being more rational or intelligent than women. In addition, the women were not of the opinion that a woman’s childbearing nature meant she could not be in the work force, and nor did they believe that a man’s duty to support his family financially meant that he should not do household chores. The women referred back to the Sunnah of the Prophet (peace and blessings be upon him), who used to mend his clothes, sweep his house, and perform other chores. The view that men and women have inherent differences is a source of the conflicting understanding of women’s position in Islam between the West and my interviewees. The women argue that the idea that Hijab means women should not go outside is contradicted by the Sunnah of the Prophet: during his lifetime women were very actively involved in the community, in business, in fighting wars, in scholarship and so on. An aspect of Hijab that came through strongly in the interviews was how wearing Hijab gives these women sources of inner strength and a high level of confidence and self-esteem. For example, men and women learn from an early age that women (all of them) are beautiful, and this is the reason they cover. That message is good for women’s self-esteem, as well as for the way men think about women. The message compares favorably to that of the West where we see anorexia and bulimia on the increase as young women attempt to reach an unattainable ideal of female beauty. Many women stressed how comfortable they felt wearing Hijab, how it made them feel good about themselves, and brought them a feeling of inner “peace”. Muslim women in the West who cover suffer daily indignities from the people around them because of the way they dress. The Western image that they are oppressed, or represent a terrorist religion makes it difficult for them to be accepted easily by the Canadian community. Because Islam is not well understood in the West, some converts also have problems with their families, friends and colleagues about becoming Muslim and about wearing Hijab. Other women face opposition from their own (Muslim) families as well, in their decision to cover. This is because in many Muslim countries, the West has been seen as the model to imitate in order to ‘progress,’ and they tried to shed Islam and all that was associated with it. 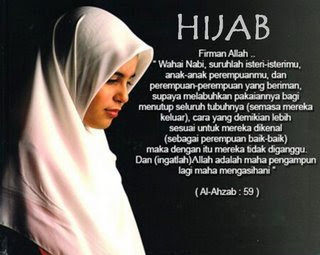 Hijab is associated with something ‘backward,’ ‘low-class’ people do, or as something only old women do. Many see Hijab as ugly and as reducing the chances for a young woman to get married. Muslims who grow up in Canada often object to Hijab, taking on the Western perception of the meaning of Hijab. Several of the women (born Muslim) in this study had battled families in order to cover. And yet, many of the women I interviewed stressed that overall they do not get too many hostile reactions and some of them also experience positive reactions from non-Muslims. They think that Toronto (Canada) is so multicultural that people are used to seeing all different kinds of dress. Given these kinds of negative reactions to Hijab, it is not surprising that many Muslims try to hide their Islamic identity. 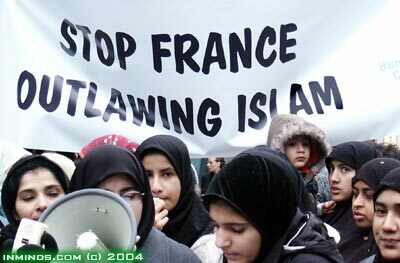 The pressure for Muslims to assimilate to the ways of the West is great. Katherine Bullock, a convert to Islam since 1994, was a doctoral candidate at the University of Toronto when this article was originally published in the March/April 1998 issue of Islamic Horizons magazine.